Please remember to follow the rules. Anyone who decides to break them will be warned. In multiple cases this thread will be closed. LEADER JAEBEOM QUITS 2PM !!!!!!!!!!!! I'm sorry for giving you my last greeting through this letter. I'm really sorry to everyone, and I'm even more sorry to the fans who have shown me love. 2PM boys, I'm really sorry to the boys and I'm sorry I couldn't be strong as a leader and a hyung and have to leave like this. Honestly, he comes to a country where he is looked down upon for not knowing the language and working so hard to have a chance at debut. obviously being the teenager that he was, at the time he would talk trash to his friends. Heck! I go to university and I talk smack about this place so much but I still like it. There is no 2pm without JAY...leave him alone....stop signing the suicide petition and grow up. JYP is right! He doesn't deserve to have all his hard work and dreams taken away along with the rest of the 2pm members for some stupid things he said going through tough teenage times. All the times I yelled that I hated my parents...doesn't mean anything cuz I said all that out of frustration AT THAT TIME. It's really bitter when you think that a week ago, there was even talks about 2pm having an American debut. Just yesterday, we were waiting for their album to drop in Oct.
Update 2: Apparently---the rumour came from Korean newsen saying that JYP has confirmed. Newsen is different from JYPE confirming. Update 3: Another news confirming Jay wanting to leave and JYP letting him go. [ http://www.sportsseoul.com/news2/entertain...7411179731.html ] Not looking good but as Cassies would say, "Always keep the faith". Allkpop's trafic has tripled since Jay's news broke. Jay is heading for a flight to Seattle at 6:30pm KST which is in a few hours. The president of Hottest has called upon the fans to go to the airport and show support for Jay and try to talk him out of it. There will be fans waiting on Seattle's side. Jay has said he will be attending school no immenent plans of comeback. Keep updated: http://twitter.com/twooneday Some can be rumours so don't believe everything you read. However it has been confirmed he is leaving and hes is heading for the airport soon. "It seems there will be issues with 2PM's future activities. For now, Jaebeom has stated that he wants to return to American as soon as possible. Because of Jaebeom's controversy, we have not made any decisions on 2PM's future activities." 1. If you are in Korea...his plane leaves at 6:30 KST. His flight is at 6:30 to Seattle. 2. If in Seattle, pick him up there. Give him a homecoming to remember!! 3. Show your love! On this thread and others alike...if he reads some, he'll know there's waaaayyyyyyy more fans than antis. If he really is leaving, then send him off properly and welcome him back to America properly! If anything, when things die down, there may be hope in the future. 3. Facebook Group - http://www.facebook.com/group.php?gid=285341915192 . There's an estimated 300 fans waiting at the airport for Jay when he arrived at 4:40pm for their 6:30 pm KST flight. More fans arrive after Jay's arrival. Fans checked and Jay's name appeared on the list to fly to Seattle. Fans no longer try to stop Jay and merely watches along with reporters. Fans are crying during the departure of Jay Beom and also demanding an explanation from JYP himself on what is actually going on. All 7 boys were there and some were crying. Fans cant even say goodbye since he switched the gate he was supposed to leave from for safety of fans. Some fans rushed up to the 3rd floor to catch a glimpse of him. Fans support Jay by posting sticky notes saying "we will miss you" "please come back' "we will wait for your return" at JYP center. At the end, there are over 500 fans pleading with him to not leave but Jay has now left Korea. When they asked him about his plans in America, he talked about music. He said, "I am planning to study music in America" and "have a time of reflection. I want to show a more mature side both personally and musically." He also avoided answering questions regarding his plan to return to Korea. His expression showed that it was too early to be discussing about comeback plans. Instead, he expressed, "I want to thank the fans who had come out to the airport," and "I will stay healthy in America. I will COME BACK as a better person." He is planning to come back. Smart move, this stopped antis getting more support and makes him stay low till this blows over. However, 2pm is now a 6-member group and my guess is that they will remain so because a new member will be probably hated. After an album or two, Jay will come back a changed person. Here's two comments made years ago by Jaebum that have just surfaced. "I don't know what to do... I'm so torn with that.. I feel like I don't fit in..."
"I really ain't like these other dudes... and I feel like I just don't belong here..."
to just come back... or do whatever makes me happy.. I don't know what to do..."
i refuse to believe this. are you kidding me? that's just ridiculous. there is no 2PM without jay. he's the freaking leader for goodness sakes. i sure do hope that his account was hacked. i'm sorry, but i seriously doubt it. this is seriously so hard to believe. whyyyyyy??!!! jaebeom! get your act togther!! please fight!! we're here backing you up!!! what's going to happen to 2pm?? 2pm is nothing w/o leader!!!! pls say it's not true!!! I'm sick of these antis. Jay shouldn't feel guilty..those comments were years ago. 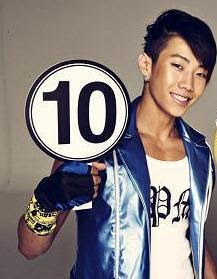 There is no 2PM without Jay. I think people should realize that it's not confirmed until JYP says so himself. 2PM will not be the same without Park Jaebom! how can it come to this? Jay, it's WAY TOO EARLY to call it quits! 2PM is at their high point right now in their careers. This is so awful. How can anyone see this and be satisfied? He was just a teenager when he wrote it and now he's having all of his dreams taken away. The netizens were way too harsh. i won't believe this until there's an official statement released from jype. i wish jay the best of the luck, in whichever path he chooses. omfg. this can't be true. seriously, 2PM without jay, is just not 2PM anymore. I'm so heartbroken right now. I've never cried this hard before. To ruin someone's life because of some comments he made as a teenager. I'm just appalled. NO WAY!?!?! I CANT BELIEVE THIS!!! He cant quit cause of those stupide netizens!!! please it can't be true T_T; he did exactly what the netizens wanted.